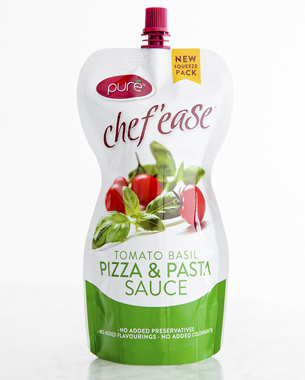 A refreshing new look was needed for a range of sauces and jams packaged in a unique re-sealable pouch. 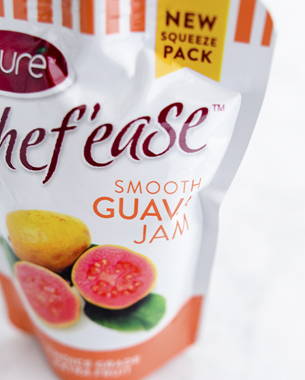 After reviewing the competing brands, it was decided to go with a clean, white pack with the fresh product ingredients as the hero on the front of pack. Simple typography and clean photography create a range of products that stand out in the mass of product close-ups and overwhelming colour. Denver Hendricks used his creative eye in post production to create the final shot from a morning of tomato juice splashes and ripe tomatoes.